Four lounges – of a size between 20 and 100 square meters – are available to all guests of the Sonnenhof. The rooms can be used individually. Here, you may meet in a relaxed ambience for a game of table tennis or billiards. 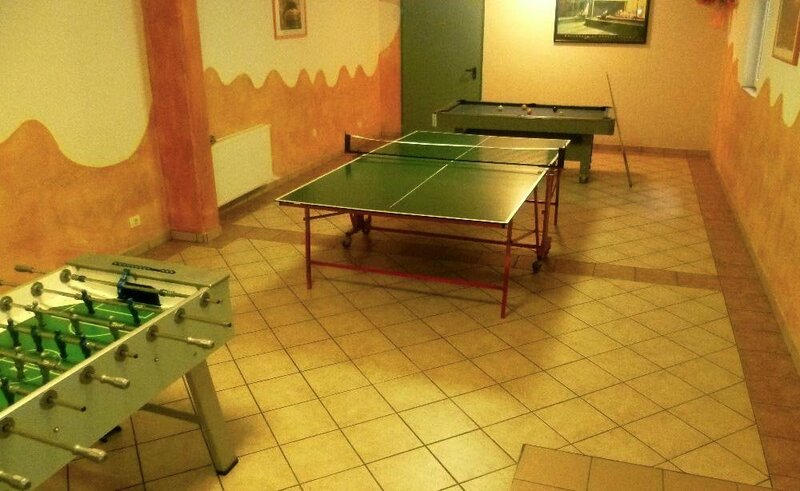 As part of a group trip, you may organize a table football tournament or a table tennis contest. In another group room, the participants may unleash their creativity and enjoy arts and crafts workshops. The lounges offer a space to exchange ideas, for a crafts afternoon or a painting competition. In a relaxed atmosphere, the children and young people may get to know each other and make new friends..